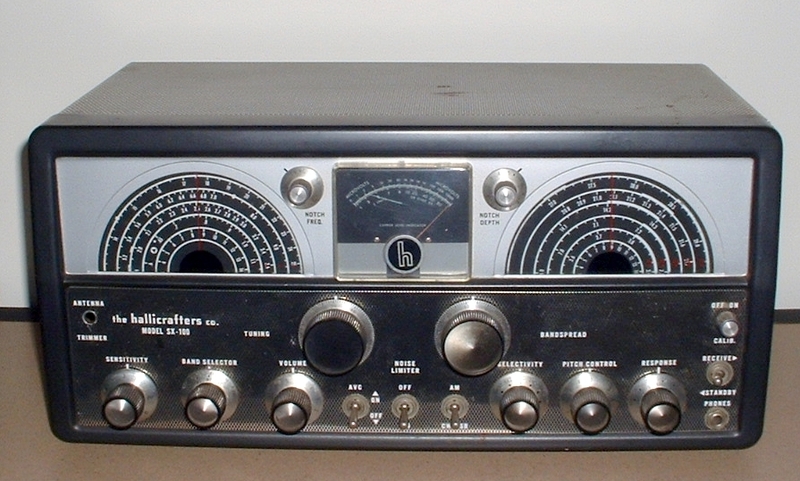 A ham reminisces about his life in ham radio and how often his path has crossed with the ARRL. Like any long-term relationship, vocational associations have their peaks and valleys. Sometimes one’s partner does things that can drive one to distraction, or death and destruction, or divorce. If one manages to survive or evade all three, and can ultimately look back and say, “It’s been good,” then — it’s been good. 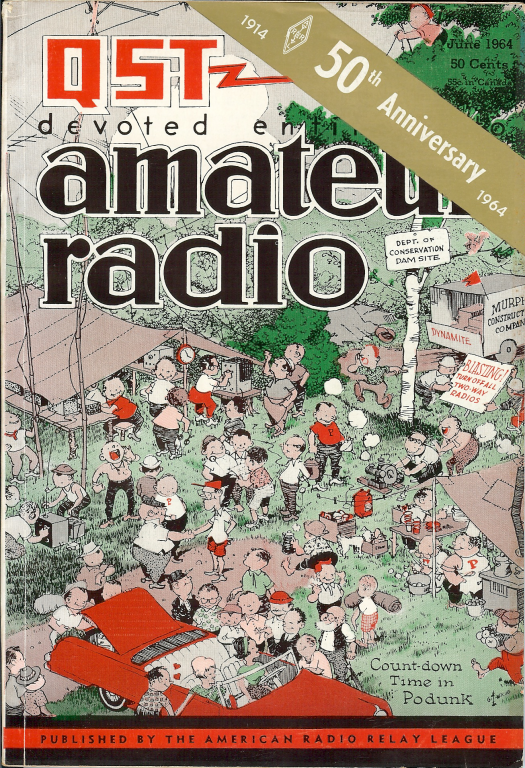 My association with the American Radio Relay League began before I was conscious of it. 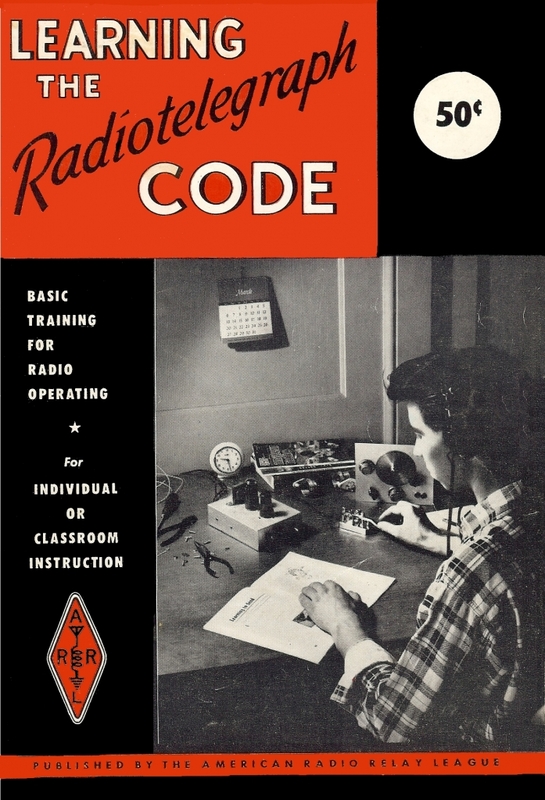 Somewhere in grade school I had acquired a tattered black and orange copy of Learning the Radiotelegraph Code. Not long before, my dad had made my older brother Mark and me a “land-line” telegraph set, complete with Skillman Deluxe keys and buzzers. We’d send “secret” code between our upper and lower bunk beds with our land-line circuit, much like kids these days who use cell phones to talk across the table at Denny’s. It was pointless but fun. Dad had typed up cheat sheets for us with the alphabet and numbers, but had left out the really good stuff, like punctuation and prosigns, that were to be found only in that venerable little paperback. I had no idea who or what the ARRL was, but the black and orange theme didn’t take long to get burned into my cortex. For the next decade or so, radio flitted into and out of my priorities; though electricity electronics took early, deep roots. My formative years in Silicon Valley (which was actually more like Vacuum Tube Valley at the time) was a succession of construction and destruction of electric trains, crystal radios, slot cars, motors, erector sets, 0.049 glow plug engines, stereo sets and guitar amps, eventually coming back around to radio near the end of high school. 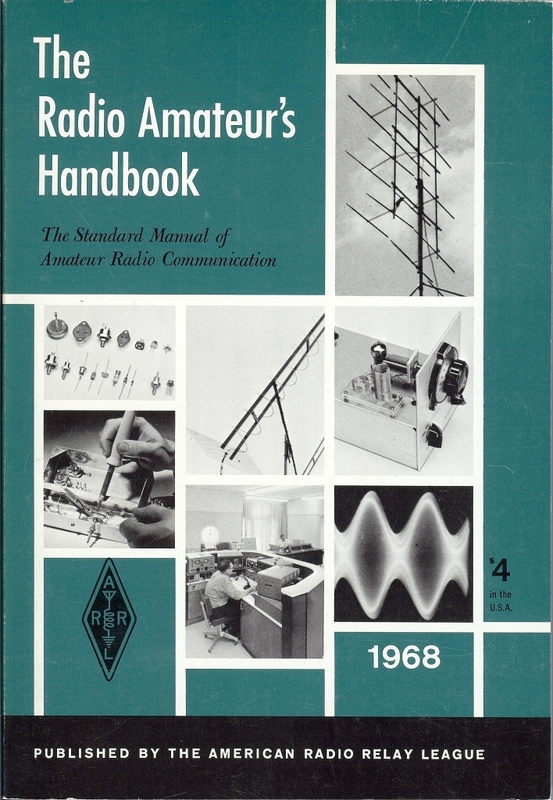 One of my Elmers, Mike Aust, WB6DJI, had given me a well-used 1968 ARRL Handbook, when I had revealed that I was going to actually get a ham license. I was fascinated with the electronics in the Handbook, naturally, but it was the Phil Gildersleeve cartoons scattered throughout that really grabbed me by the throat.1 Something about “Gil” conveyed the spirit and the smell of Amateur Radio like nothing else did. I remember a deep sense of déjà vu emanating from those hallowed pages, as though I had already visited those ancient shacks. Again, the letters ARRL didn’t have any particular meaning to me — yet. At the age of eighteen, one is generally not too concerned with history and heritage. Besides, I was never much of a “joiner” so all the camaraderie and such that these things entail were pretty low on my list of priorities. But I did feel oddly at home while poring through that tome. I connected immediately with Jeeves and his unnamed master and benefactor. I began listening to W1AW’s broadcasts religiously, which, until that point, had been totally random encounters as I scanned the band with my SX-100. If nothing else, I was determined to get my money’s worth out of my “prescription.” Far be it from me to let a dot or a dash that I’d paid for with my lunch money slip by uncopied! I read every page of QST every month, even the “YL News and Views”. It was encouraging to know that there were ladies as nerdy as I was. Oddly enough, however, I married a philistine from outside of the ranks of hamdom. Fortunately, said spouse has always viewed my ham activities with a sort of “bemused tolerance.” In fact, Priscilla has bemusedly tolerated my particular proclivity for nearly 33 years. 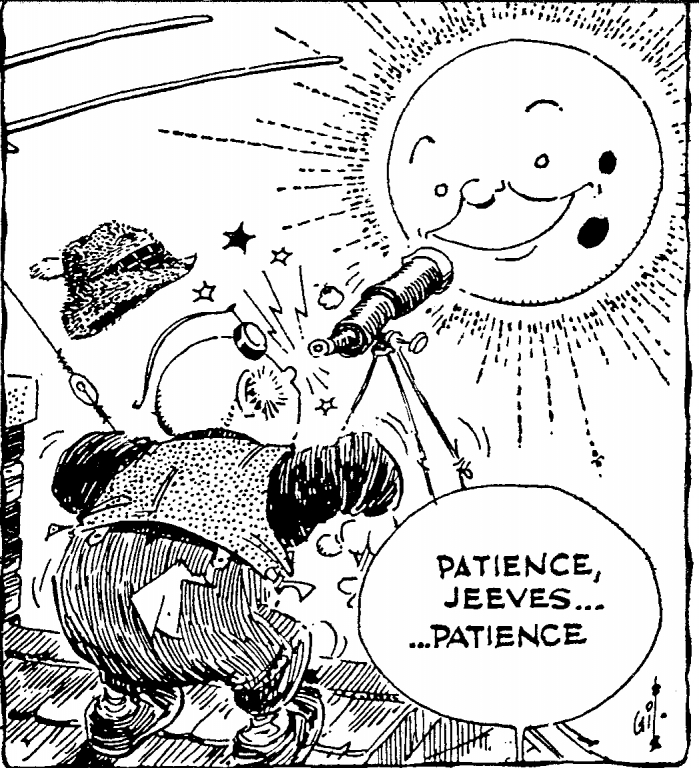 Though not quite as long as I’ve been with the ARRL. Life and ham radio eventually led me to Alaska and a career in broadcast engineering. I was one of those fortunate people who got to do ham radio professionally, more or less. I began experimenting in earnest. Having bowed at the feet of The Old Man for a decade and a half, I felt I might have something to offer in return. I submitted my very first technical article to QST, “Try This Versatile CW Shaper” back in 1984.2 They published it. In fact, it was the first piece of writing of any kind I’d ever been paid for. Thanks to ARRL, I was now a professional writer. It wasn’t Ernest Hemingway, but it was a start. I began writing more articles for QST, as well as several other existent, as well as now-defunct, Amateur Radio magazines. I also began writing semiregularly in some professional trade journals. In the meantime, I’d made some great friends and acquaintances at ARRL, even though I’d never been within 2500 miles of the place. Paul Pagel, N1FB, handled my first article, and most of my subsequent articles, while he was on staff. Maty Weinberg signed my first check I received as an author, a photocopy of which I have safely ensconced in a scrapbook that will probably get passed on to my swooning progeny. In 1987, after I had become somewhat known at ARRL HQ, the opportunity to be technical editor at ARRL presented itself. It was an opportunity of a lifetime, which I could not refuse to at least investigate. As it turned out, the timing wasn’t right; there just wasn’t any way I could have afforded to make such a drastic move. The interview was my first ever trip to the East Coast and it was a most memorable experience. I met Paul Pagel in person for the first time, after having worked with him for over 4 years, long distance. Paul was a very interesting character. He had a great sense of humor and a devastating wit. I also had a great time with Chuck Hutchinson, K8CH, who was actually the guy who brought me back East. He had recently returned from HCJB in Quito Ecuador, where the famous Cubical Quad had been invented some 50 years earlier. I also met Larry Wolfgang, WR1B, and Mark Wilson, K1RO, who would have been my direct bosses, had I taken the job. And, of course, I got to meet Maty. They say every corporation needs a “Mom” to hold everything together and Maty certainly filled (and still does) that role with aplomb. I also got to speak with Zack Lau, W1ZT, whom I still get to bounce technical tidbits with via QRZ.com. Perhaps, most memorable of all, was my meeting of Laird Campbell, W1HQ, who, I was sad to learn, became a silent key in 2002. Laird was probably the smartest man I ever met and a true gentleman. Laird was from the Old Guard at ARRL, probably as close to The Old Man as I would ever meet. Ham radio history practically oozed from his pores. I do regret that I was not able to accept that position; I know I would have been associated with the finest colleagues in any organization on the planet. Like any “marriage” my affection for the ARRL is not untainted at times. 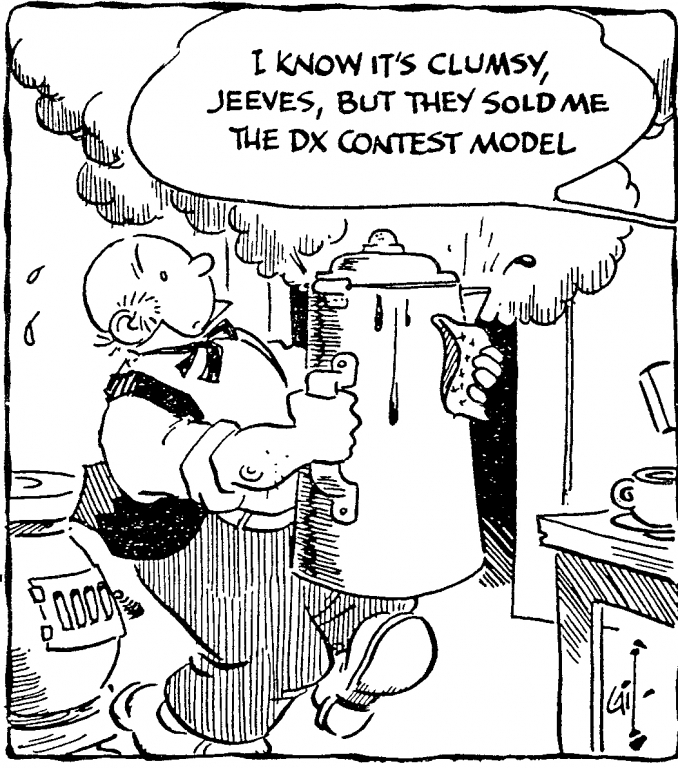 I have had my share of disputes, not necessarily spoken, with the ARRL. There is a tendency, sometimes with a certain amount of credible evidence, to view ARRL as being out of touch with things on the West Coast. (We in Alaska generally have much more affinity with California than with New England, despite the weather. In general, we consider ourselves West Coast). This fact is not so much a reflection on who the ARRL is, but rather where the ARRL is. It’s not the League’s fault. They were there when the East Coast was the demographic center of gravity of the US. But this is no longer the case. I’ve had my issues with the ARRL’s emphasis on EmComm and the danger of this enticing the wrong people into Amateur Radio for the wrong reasons. I strongly believe Amateur Radio should stay amateur. The reason to be in Amateur Radio, far above all else, is the sheer love of radio. To eliminate this as the primary motive for the hobby is to change it into something totally unrecognizable. For many like me, if I can no longer love Amateur Radio for the sake of radio — if it becomes a job — or an obligation — it will lose all its attraction for me. I have a job. I have obligations. Amateur Radio is supposed to be fun. That being said, I still pay my dues every year and will probably do so as long as Amateur Radio exists. I will keep buying practically every publication that ARRL cranks out — whether I’ve written it or not. I will probably keep collecting old QSTs and Handbooks until I have no more room in my basement. I will continue to listen to W1AW. I will still remember the great people who have passed through ARRL or are still there. Have I ever thought about divorce from the ARRL? Of course —probably every member has at one time or another. But in spite of it all, it’s probably best to stay together. If only for the sake of the kids. All photos by Steve Sant Andrea, AG1YK. He has written numerous articles for just about every existent, as well as defunct, Amateur Radio publication, as well as many broadcasting and engineering periodicals. His current work “in the mill” is “The Opus of Amateur Radio Knowledge and Lore.” Eric can be reached at PO Box 56235, North Pole, AK 99705-1235. 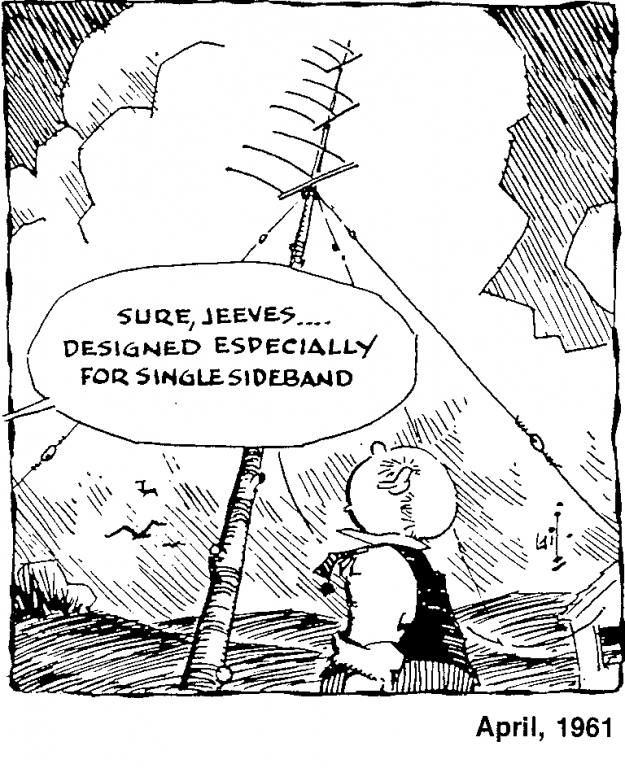 1“The Gil Cartoon Book,” is available from your local ARRL dealer, or from the ARRL Bookstore, ARRL order no. 0364. Telephone toll-free in the US 888-277-5289, or 860-594-0355, fax 860-594-0303; www.arrl.org/shop/; pubsales@arrl.org.